We chose Philippine Airlines for the Manila-Tokyo flight, which took 4 hours and 20 minutes only. The Narita airport arrival hall looked ordinary unlike I have ever imagined. It's Tokyo, so I was imagining of oversize gleaming hallways and hi-tech trimmings. Ah, I shouldn't have set my expectations too high. 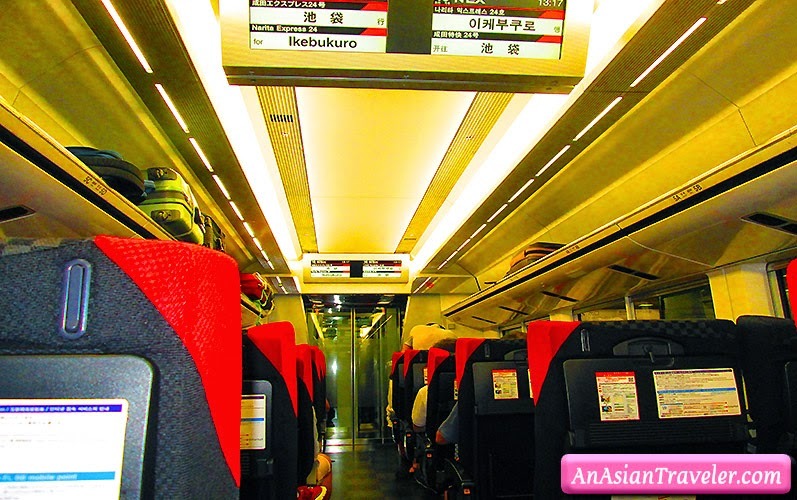 Anyway from Narita International Airport, we decided to take the Narita Express (N'EX) Train to central Tokyo. It takes about an hour to reach the capital city. 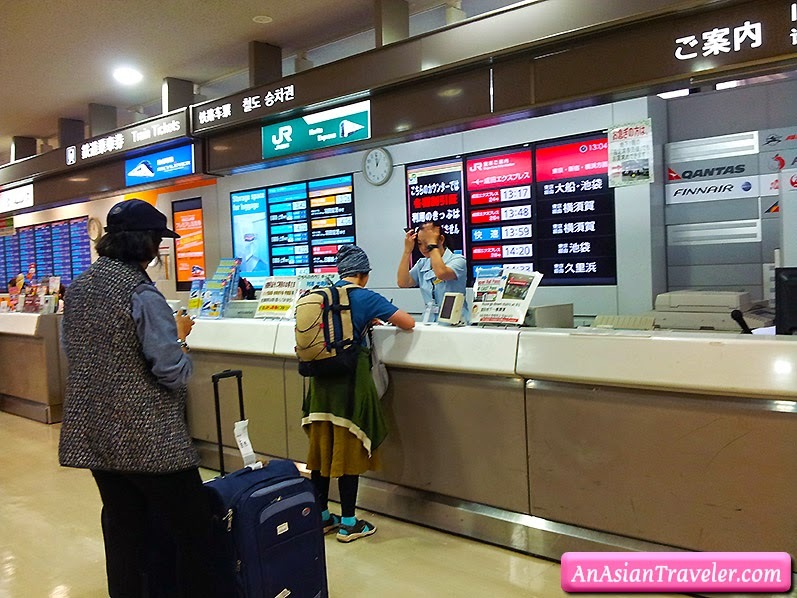 We purchased our rail tickets (1,500 Yen per person) in the international arrival hall. 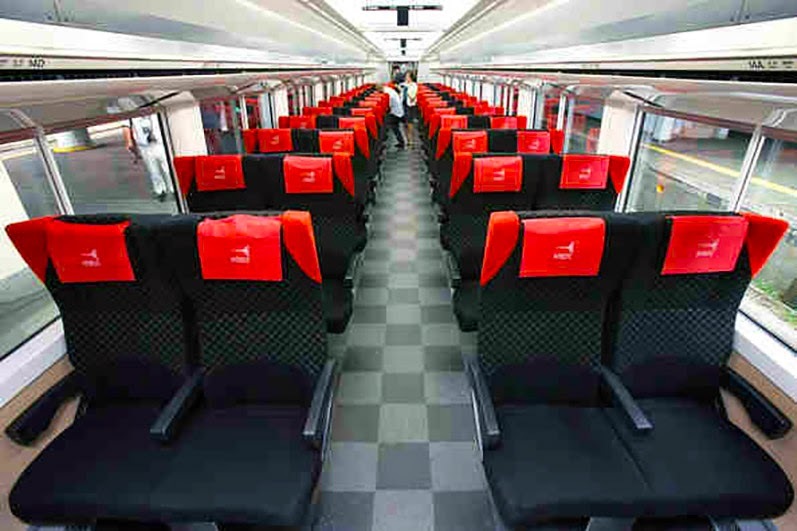 The Narita Express (N'EX) train is fast and offers comfortable seating. Avoid taxi it will cost you an arm and a leg unless of course you have hefty bags full of cash. But I was in for even bigger surprise when we arrived at Tokyo station. I know July and August are summer months in Japan, but I didn't expect a scorching hot summer! No wonder, I spotted several people carrying hand fans to keep themselves cool. On top of that, most of Tokyo Metro stations are not air-conditioned. However, Tokyo has one of the most extensive mass transit systems in the world.